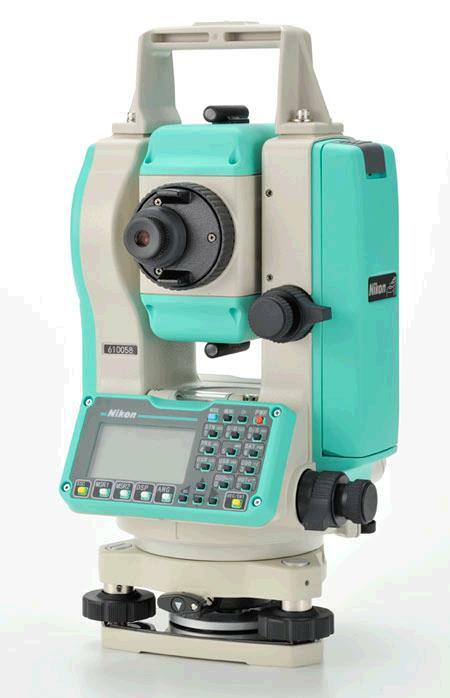 Nikon DTM-520 total station with 3 angle accuracy and dual compensator on V&H axis to compensate tilt error in any directions. Data transfer to a personal computer or any data collectors is possible with the RS-232C interface, and also memory on board can store up to 8000 points. Unit features dual reading display on both side for more convenient read outs on field. Measurement Time: Repeat Measurement mode: 2.5 sec. 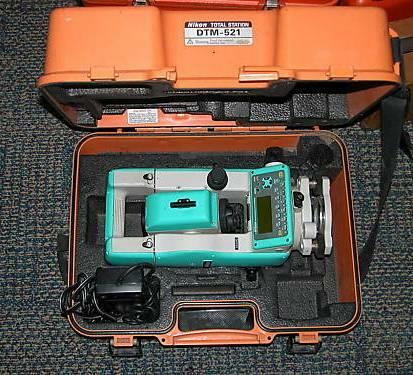 Tracking/coarse Measurement mode: 0.5 sec. Measurement time: Less than 0.3 sec. Handle battery BC-80: output voltage: 7.2 v, capacity: 2.4 ah, max. 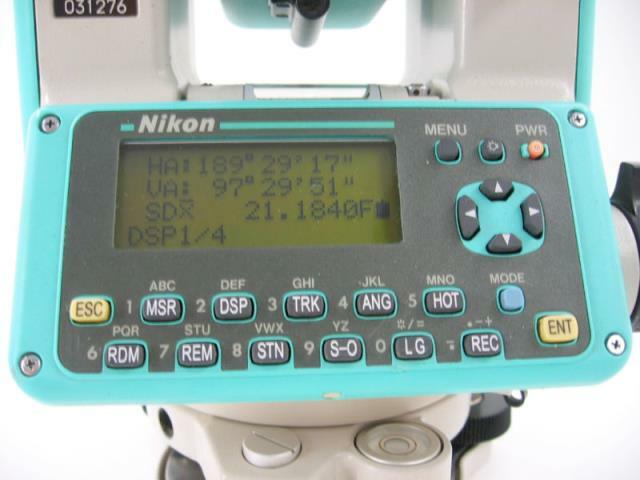 * Please call us for any questions on our total station nikon dtm 520 rentals in Fort Madison IA, serving Southeastern Iowa and Western Illinois.